14 May 2013: We have had some very good weeks with the Surya panels, and burst through the 3,000 kWh/year barrier. However, in the last few days things have gone wrong again. I recognise the symptoms - the top up bottle needing daily refills and then the liquid disappearing, and audible bubbles in the system in the mornings. the flow rate in the pipes has fallen from its regular 0.5 m3/hour to almost nothing. Fortunately the weather has been cold and rainy for a while, I am worried about another heatwave over heating the panels. I suspect the tee piece in the Surya panels and I curse my naivete in thinking that using 40mm compression waste fittings would be a permanent solution. They were easier to fit and have been good for a year (since April 2012), but perhaps it was not robust enough for more than a year. I spoke to my colleague Dr Chris Wood and he said that he had always doubted the wisdom of using the waste fitting and advised me to get the real thing which should be the Plasson fitting that I originally had. He also advised me to check that the pump spindles were not seized (which I did, and they are no seized). The original tee-piece was damaged by the vacuum tube installers inflating the circuit pressure with a pump, and by my not having an extra expansion vessel to absorb this. There are now two additional red expansion vessels on the circuit. We had some very hot days a week or two ago, and that may have caused the waste fitting to leak. I have to bite this bullet, get the scaffolding up, take off the ETFE fronts, and replace that Tee-piece. 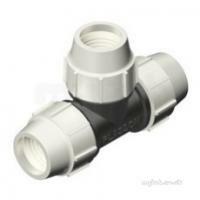 There is a source of Plasson fittings in Nottingham. I cannot understand the disparity in prices, some places change only about 15 pounds, others about 35 pounds... I'm going to the local stockist, Wilson Hall, in Netherfield.